A new Cold War is not upon us. Probably the only country that could afford one is China, and even it has some regime-threatening problems at home, such as the air its citizens breathe every minute, that require some very expensive fixes. What is upon us is a return to old fashioned international power politics. That is why these past weeks have marked a page turn in history, more decisively even than 9/11, if not yet as deadly. The 21st century expectations among Western officials, analysts and thinkers that countries would not use or threaten force to change borders and the balance of power are dashed. The 25-year break or vacation from history since the fall of the Berlin Wall has turned into an illusion. Far from the end of history, we are back to history. This page turn certainly does not translate automatically into war, either hot or cold, even though we will have scary moments and the risk of accident is now much higher. What it does mean is more confrontation, more friction as two regional hegemons, Russia and China, seek to expand their space and influence and power while bumping up against the United States and its friends and allies whom they see as getting in their way. That these two countries have benefited politically, and certainly economically, from the U.S.-led world order since World War II now becomes almost immaterial. Russia and China both have serious ambitions in the areas immediately beyond their physical borders and are increasingly showing and describing the lengths they will go to achieve them. 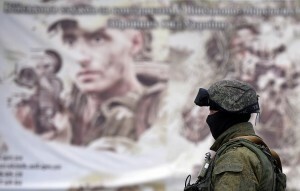 For Russia, it is special forces in Crimea. For China, it’s development of missiles that could knock out U.S. aircraft carriers in a single blow. Russia, still a declining power, is playing a short game. China, an ascending one, is playing a longer one. That they are not always in sync was clear on the U.N. Security Council vote. Russia exercised its veto. China, which hardly wants to encourage separatist referendums in its ethnic regions, much less Taiwan, abstained. How the United States and its allies and friends confront this new world is far from clear. Beyond some elites, the appetite for international engagement in the U.S. is all but non-existent. The willingness of others spans a range from Italy to Germany to the Baltic, from Thailand to Japan. Perhaps one place to start is not to issue threats or draw lines unless you mean to act upon them. To do otherwise, is only to invite disdain and contempt. The Ukraine crisis even has invaded the pages of Facebook, more often a venue to learn where your friends are having lunch. Recently, the international affairs analyst Leon Hadar, a man of the non-interventionist camp who usually argues against misleading historical analogies, suggested the world should re-create the Congress of Vienna to ensure another century of peace and stability. To which I responded: those leaders were all in tandem, pulling Europe in a conservative direction. That’s hardly the case now. Then there is the matter of personalities: British Prime Minister David Cameron as Viscount Castlereagh; French President Francois Hollande as Charles Maurice de Talleyrand; Russian President Vladimir Putin as Tsar Alexander. And who gets to play Klemens von Metternich, Kurt Waldheim or Marco Rubio? It would last a week. Little would we have imagined that baby boomer and Gen X Americans, and even more so Europeans, would watch their imaginations of a postmodern world so quickly go glimmering amid a search for historical analogies, some now 200 years old. 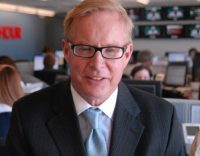 Michael D. Mosettig was the PBS NewsHour’s foreign affairs and defense editor from 1985 to 2012. He now watches wonks push policy in Washington’s multitude of think tanks and writes occasional dispatches on what those scholars and wannabe secretaries of state have in mind for Europe, Asia and Latin America.